Announced by Sono's Allen Mask at a media event in New York, AirPlay 2 support means users will be able to control Sonos speakers via HomeKit and Siri, directing music to the hardware via their voice. AirPlay 2 support for Sonos devices is scheduled to arrive next year, Mask said. "There had to be a seamless connection between Sonos and Apple, and so we waited until we could get it right, together," he said. The addition of AirPlay 2 will let users control their entire Sonos system by just speaking. In an onstage demonstration, Mask showed how a user could interact with a Sonos speaker to skip ahead to a next track playing on a wirelessly connected iPad. 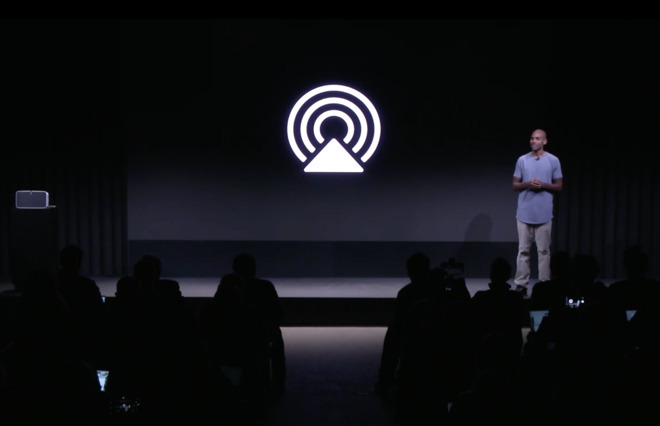 Support for AirPlay 2 is systemwide, meaning users can have sound come through Sonos speakers when not only listening to music, but also playing videos, games or apps. AirPlay 2 is set to officially launch with an update to iOS 11 later this fall. To support the new streaming standard, Apple will debut its own HomePod speaker, itself a Sonos competitor, in December. Beyond AirPlay 2, Sonos announced on Wednesday that its devices will integrate with Amazon's Alexa voice assistant. A new public beta has already launched, allowing device owners to test the capabilities.